Aavmker4.sys is a legitimate process file popularly known as avast! Base Kernel-Mode Device Driver for Windows NT/2000/XP. It is associated with software avast! 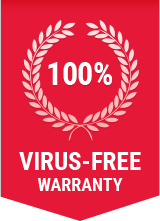 Antivirus System developed by ALWIL Software. It is located in C:\Program Files by default. Malware programmers write virus files with malicious scripts and save them as Aavmker4.sys with an intention to spread virus on the internet. How to determine if your computer is infected with Aavmker4.sys malware? How to remove Aavmker4.sys malware from system using Comodo Antivirus? Step 8: Comodo Antivirus will remove Aavmker4.sys malware from your computer including all other malwares!